Boo 2! A Madea Halloween (film, 2017). A 2017 American comedy horror film with "PG-13" rating by Lionsgate Films. Directed by Tyler Perry. Official Trailer. Boo 2! 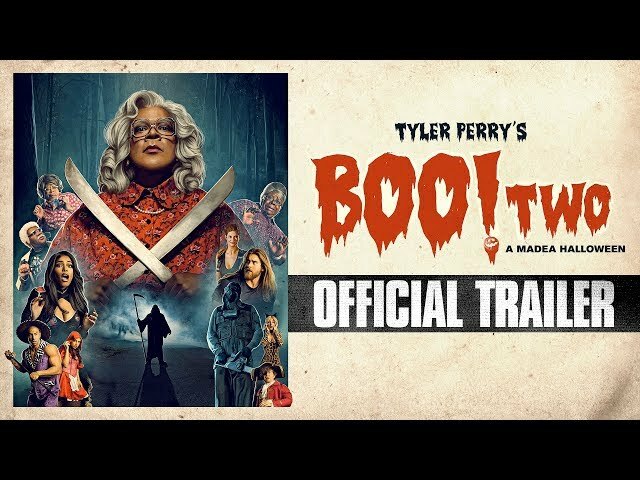 A Madea Halloween is a 2017 American comedy horror film directed by Tyler Perry. Boo 2! 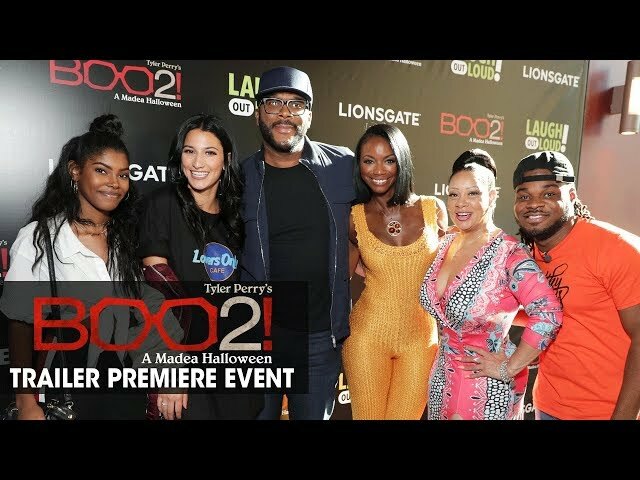 A Madea Halloween - World Premiere Trailer Event Recap (Tyler Perry). The film opens after school on Tiffany's 18th birthday. She and her friend Gabriella encounter Tiffany's dad Brian and brother B.J. outside the school; Tiffany's mom, Brian's ex-wife Debrah, arrives with her new husband Calvin, and they surprise Tiffany with the car she wanted (and hoped her father would give her). She and Gabriella drive it recklessly to the frat house from the first movie, where they hear that Jonathan and the others are having a Halloween party at Lake Derrick. She hopes to make it up to them for ruining the previous year's party. Brian finds Madea, Joe, Bam, and Hattie at his house to surprise Tiffany. She tells her friend Leah about the party and asks her mom if she can go. She says yes to upset Brian, but he agrees so that he can teach her a lesson. Tiffany rounds up Gabriella, Leah, and Anna (a girl who's stalking Horse) and they arrive at Lake Derrick in her new car. The frat boys meet up and have fun with the girls until some of them disappear after seeing "Derrick", his brother, and his daughters. Madea overhears Tiffany's conversation about the party and gets her friends to go with her to Lake Derrick to get Tiffany. On the way, Madea accidentally hits one of "Derrick's" daughters with her car when she mysteriously appears on the road. Madea, Bam, and Hattie check on the girl, who pulls her hair and shows her scarred-up face to everybody. The ladies run back to the car; the girl appears on top of the car, scaring everyone again, and Joe immediately drives away. Betty Ann "Aunt Bam" Murphy"
Principal photography on Boo 2! A Madea Halloween began in March 2017 in Atlanta, Georgia. 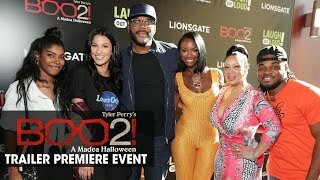 The film Boo 2! A Madea Halloween was scheduled to be released by Lionsgate Films on October 20, 2017. The duration of the film is 101 minutes. With a budget of $25 million, the film grossed over $48.3 million. Boo 2! A Madea Halloween got low rating from critics. The audience dislikes the film either.